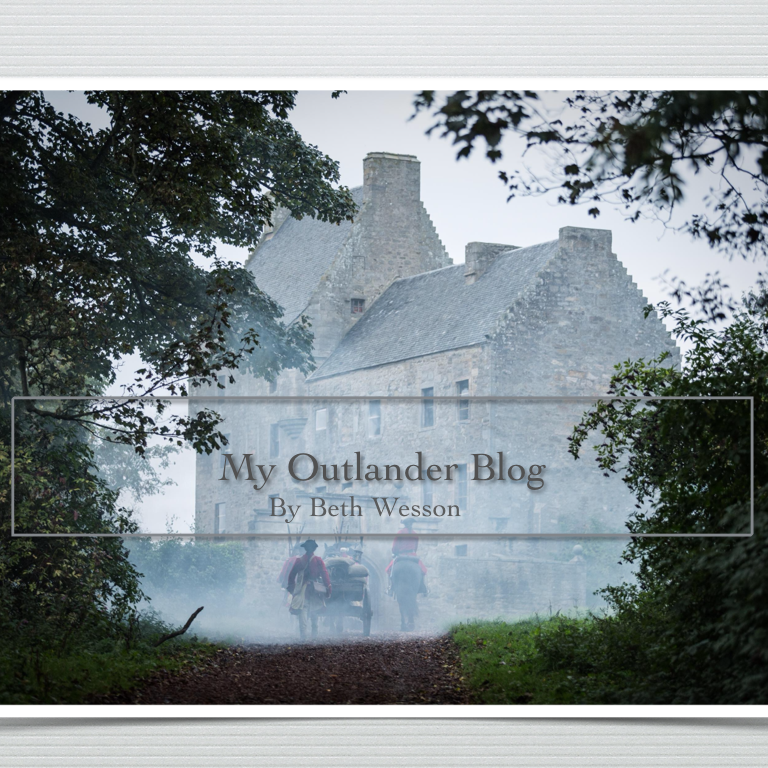 roger – My Outlander Blog! Vroom…We have Roger…Outlander welcomes Richard Rankin! 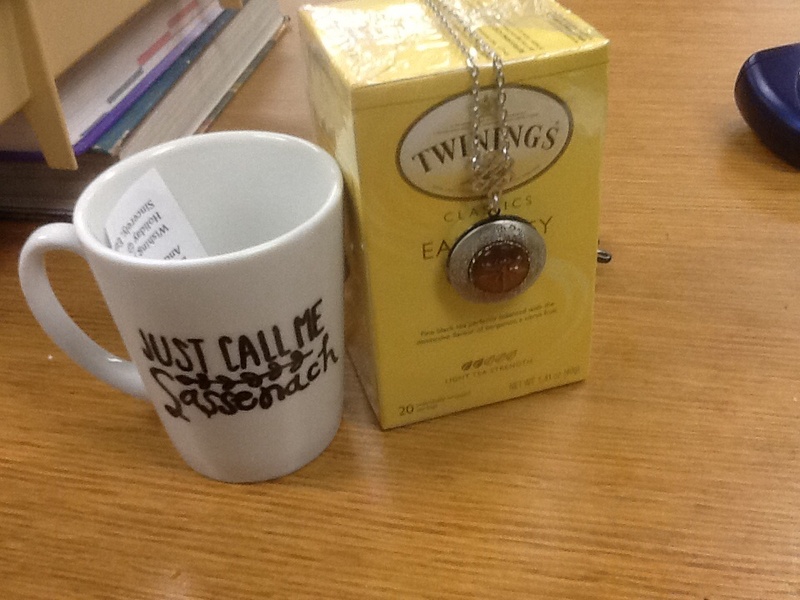 Today Starz gave Outlander fans a gift they have been waiting on for awhile now….Roger! Welcome to Scottish actor Rik Rankin! I’m just loving this because Rik has been a part of the fandom…sorta…for awhile now. Quite a few months ago he was gracious enough to help some fans with some Scottish sounds and words. He was so nice and likeable he just sort of got adopted! Some Outlander fans became Rik Rankin fans too and even started fan clubs! There have been a lot of us pulling for him to be our Roger from the moment he came onto the scene! We’ve been watching his career and hoping, after falling in love with his portrayal of Captain Tom Gillian in The Crimson Field, he would get the chance to audition for Roger. Here is a link to his show reel. I had to laugh when I saw his reaction to the fan reaction today on social media. JHRC? I love him already! I’m sure he’ll do great! Roger is a wonderfully dynamic character who Diana puts through more than his fair share of character revealing situations. It’s a role that I’m sure will challenge and stretch him as an actor. In other words, Roger is an actor’s dream. Now…..where’s his other half? I can’t wait to see Roger and Bree side by side. They are not Jamie and Claire and yet….what a great couple! In fact, I can’t wait to see Roger side by side of a lot of different characters. I’m going to love watching the relationships develop between him and Bree, Jamie, and Claire . Folks, this story is only going to get better! 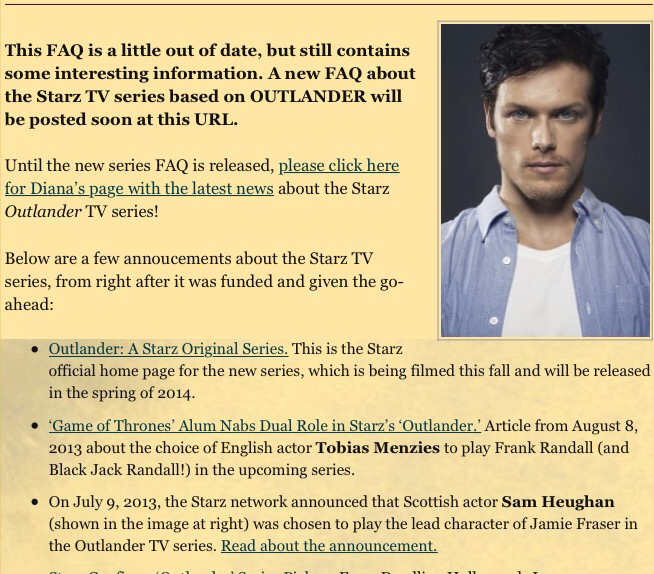 It’s an exciting time to be an Outlander fan! I’m sure much will be written about Rik over the next few days, but I just wanted to add my welcome to the clan! And, @ConnieBV is working on her own special type of welcome! I can’t wait! It’s rumored she’s shipping Rik and Tobias! So, that’ll be fun! I hope you feel the love Rik! Looking forward to your performance! *I’ve been reading all the news of Richard Rankin being cast as Roger. I knew @ConnieBV would be writing for ScotlandNow and I couldn’t wait to read what I knew would be her latest wonderful blend of humor and insight. I wasn’t disappointed. It was great! I am always amazed by how much we think alike despite our very different writing styles. She talked about Roger being the male version of Claire and I was nodding my head in agreement and knew that I had written something about that idea myself. I did! When I found it I realized that I had written this piece almost exactly a year ago and it not only talked about the Claire and Roger connection, but it was a wonderful little time-capsule. What were we doing and thinking about a year ago in the fandom? It’s right here! We know that folks working on Outlander Starz are taking a well deserved break. Some of the folks are continuing to tweet to fans during their hiatus. So, fans still know a bit about what is going on in their lives. Matt is still taking pictures, Maril made it back home to the great Northwest, Terry is missing her puppy, but catching up on all the good stuff home offers and her other half Ron has been tweeting his score cards from the Giants bid for the World Series. Cait sent us a lovely picture of her meeting with the folks running the children’s cancer charity she supports and Sam…well … he tweeted a short video of him throwing one very lucky girl into an LA swimming pool! While they are all on vacay mode the fans have been trying to figure out what to do during the months between now and April. I’ve seen some pretty interesting lists. Some are funny and some quite serious. Pretty sure the Outlander knitters will be creating enough cowls and arm warmers to supply a small army of wool waulkers! There are contests, read-alongs and memes full of pick-up lines. All of this industry got me thinking about DIA and the fact that the fans will most probably get to do this whole thing again! Soon everyone will be back at work, casting, writing, costuming and acting. Remember all the cast watches? We are going to get to see Brianna, Roger, Master Raymond! We are going to see Claire and Jamie navigate the politics at the French court and meet Louis and Bonnie Prince Charlie. Terry will be designing costumes with a whole different culture in mind! We’ll be getting some behind the scenes goodies! Again! Roger and Bree. They are not Jamie and Claire and yet….what a great couple. We know that Bree definitely inherited her father’s looks and some of his personality traits. Claire often comments that she recognizes the look of a Fraser on the edge of an explosion in Bree’s countenance. Roger was absolutely gobsmacked when he saw Jamie Fraser for the first time. Bree’s resemblance to her father was more than obvious. It had to feel a bit strange to be married to the feminine version of THAT man. I’ve been known to claim that both of my children married versions of their mother. I see my ability to deal with their father in how my children’s spouses deal with their versions of my husband. Seriously, I wonder if I was even there sometimes! Mighty strong genes on that side of the family. It sort of makes sense, if their dad was attracted to me and they are VERY much like him, then they might be attracted to someone with similar personality traits. Maybe Bree was attracted to Roger for the same reasons. From the very beginning, I saw a connection between Roger and Claire. Roger seemed to be able to “read” Claire. He noticed subtle body language and facial cues. He heard something in her voice that belied her voiced feelings. He recognized “who” she was as a person. He seemed to understand her. Likewise, she seemed to recognize a kindred spirit in Roger. Roger is the first to believe her tale of time travel and her Highlander husband Jamie. Maybe he gets her because he’s a lot like her. They both grew up orphans who were raised by single eccentric men. Like Claire, he doesn’t seem to be concerned with possessions or power. They seem to focus on the really important things in life. They are both honorable and loyal people. Claire is a kind woman who cares for the people around her. Roger is a kind man who cares for the people around him. He is strong when he needs to be and doesn’t sweat the small stuff, just like Claire. They both live their lives without need for artifice. They both seem to have the ability to see through to the truth in matters. In fact, in one of the later scenes Claire comments that she knows very few truthful people. She names Roger as one of them. Several times we read of Roger watching the interaction between Claire and Jamie. He seems to be fascinated by their relationship and I often wondered if it was because of Bree’s resemblance to her father. Maybe he was watching to see how dealing with a Fraser is done! Bree is a woman with strong skills, personality and will. She is a modern woman who knows she can take care of herself. I’m pretty sure she would have run rough-shod over most men or scared them away. But, not Roger, I have always admired him for knowing she wasn’t going to be easy and loving that about her. He was up to the challenge of a woman who knows she’s your equal. and he wouldn’t want it any other way. Roger is as all men should be. Like Claire, Roger is principled to a fault and could have probably saved himself a lot of trouble if he had been a bit less honorable, but he is honorable and like Claire honest with himself. He takes ownership of his thoughts and feelings. His goodness runs deep and he isn’t afraid to make the tough choices. Bree, like her father, knows she has found that one thing we all hope for, someone who loves us as much as we love them. What we see in the couple is a passionate mutually committed relationship….Roger and his Bree like Jamie and his Claire.